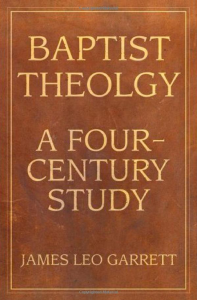 This is a valuable new book on Baptist history and theology by the long-time professor at Southwestern Baptist Theological Seminary. Garrett taught this material since the 1950s as a class on Historical Theology primarily at Southwestern and for a time at Southern. It is more than a Baptist history in that it traces the developing beliefs of English and American Baptists since the early 1600s. My interest has been in the early English Baptist history and the debates among them over Calvinism, Christology, and even music is always interesting. Garrett gives much space to Andrew Fuller as a leading theologian in the Baptist Missionary movement which included William Carey. A whole chapter is given to Landmarkism, a nineteenth century problem in the Southern Baptist Convention which affected many American Baptist groups. He also pays passing attention to Dispensationalism (in a chapter on “Incursions Into Baptist Theology), spending most of the short space on insignificant names in that doctrines good history.